SOURCE: I recently read a news article about “evangelicals” supporting Donald Trump for president of the United States. The focus of the article, its case study, was Florida mega-church pastor and sometime religious television personality Paula White. Her church in suburban Orlando attracts about twenty thousand attenders and thousands more watch her on television and read her writings. She is emerging as a leading spokesperson for “American evangelicals.” According to most sources I read about her, however, her version of evangelical Christianity is what is popularly known as the “Prosperity Gospel.” The thrust of that theology is that God wants his people to be healthy and financially prosperous if not rich. If they have sufficient faith, expressed in the right ways, they can and should overcome poverty, live lives of financial abundance (if not luxury) and be physically well all the time—right up until they die. I have written about this “gospel of health and wealth,” this “prosperity gospel,” what some call “Word-Faith theology,” here and in my recently published book Counterfeit Christianity (Abingdon Press, 2015). All across the United States and much of the world certain “evangelical” evangelists and pastors are promoting this theology as their primary theme. 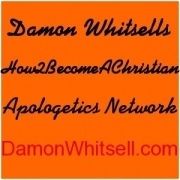 Its beginnings lie in nineteenth century New Thought—the movement begun by evangelist Phineas Quimby in England in the early nineteenth century. Where Quimby got it is unknown, but “mind over matter” philosophies were “in the air” in both Europe and America—driven at least somewhat by a vulgarized interpretation of German idealism that metaphysically connected thought and being as inseparable. Quimby became Mary Baker Eddy’s “guru” and she claimed healing through his ministry of mentalism—mind over matter using positive thinking and speaking. She, of course, went on to found what is popularly known as “Christian Science”—one of the first and best known organized forms of New Thought. (The official name of the organization is, of course, The Church of Christ, Scientist.) But there were numerous other individual “practitioners” of New Thought and several religious groups grew out of the movement—Unity, Religious Science, and Divine Science of the Mind (to name a few). The common idea of all of them was that God’s power to heal and prosper lies in the human mind because God’s mind and the human mind are not separate but interconnected. Several Christian writers picked up the basic ideas of New Thought without joining any particular New Thought religious organization. One of the best known and most influential was Napoleon Hill (1883-1970), author of the best-selling book Think and Grow Rich (1937). Sometime later several books were published with titles like Pray and Grow Rich. New Thought’s idea of “prayer” was simply positive thinking and speaking—a form of magic. The beginning of New Thought infiltrating evangelical Christianity has been traced by several scholars to a healing evangelist and author named E. W. Kenyon (1867-1948). During the same time that New Thought was growing in popularity and influence, a new emphasis on healing through prayer was spreading among Holiness Christians—evangelicals who believed in the power of God to heal sickness through powerful prayer. Kenyon brought the two together—the evangelical healing movement and New Thought. To Holiness-Pentecostals who prayed for the sick to be healed he added the dimension of positive thinking and speaking. The contemporary movement known as Word-Faith exists primarily among Pentecostal and charismatic Christians. The immediate “father” of the movement was Kenneth Hagin (1917-2003), founder of the very large and influential Rhema Bible Institute in Tulsa, Oklahoma. Some scholars claim he received his “name it and claim it” message about health and wealth from Kenyon. Hagin himself denied that and claimed both received it from the Bible and “revelation”—the “rhema Word” which is God’s contemporary revelation as distinct from the “logos Word” which is God revelation in the past—especially in the Bible. Hagin claimed the two are entirely consistent and that the “rhema Word” of contemporary prophecy is simply unfolding and giving new impetus to the Bible’s message that God wants his people to prosper and be in health. The method of prospering and being in health, according to Hagin and other Word-Faith evangelists is “speaking the Word.” It is not enough simply to think positively; one must speak health and prosperity into existence. Many critical observers noticed strong similarities between this Word-Faith teaching and the ideas of a New Thought group called Unity headquartered in Lee’s Summit, Missouri. Unity was founded by Charles and Myrtle Fillmore (1854-1948 and 1845-1931 respectively) who, like Eddy, were influenced by Quimby (although less directly). Perhaps the leading New Thought popularizer was a man named Ernest Holmes (1887-1960) who many scholars of the New Thought movement regard as its purest and best thinker. His influence on the movement in the 20th century was pervasive and profound. The precise mechanisms of influence of New Thought on Pentecostal-charismatic Word-Faith theology is much debated, but there is general agreement on Kenyon as a major player in blending them and transmitting that hybrid theology to twentieth century Pentecostal-charismatics like Hagin who, in turn, passed it on to popularizers such as Kenneth Copeland and Joel Osteen. Another “strain” of New Thought entered into so-called “mainstream” Protestantism through popular Reformed pastor and writer Norman Vincent Peale (1898-1993), pastor of the historic Marble Collegiate Church (New York City) and author of The Power of Positive Thinking. A favorite saying of Peale’s was “Change your thoughts and you can change your world.” Peale is generally considered to have been Robert Schuller’s inspiration. He founded the wildly popular magazine Guideposts. My question is whether this “gospel of health and wealth” through positive thinking and speaking, this “prosperity gospel,” this “Word-Faith movement,” this “name it and claim it” teaching, is authentically evangelical. It is a valid evangelical option? Apparently the national news media thinks so. 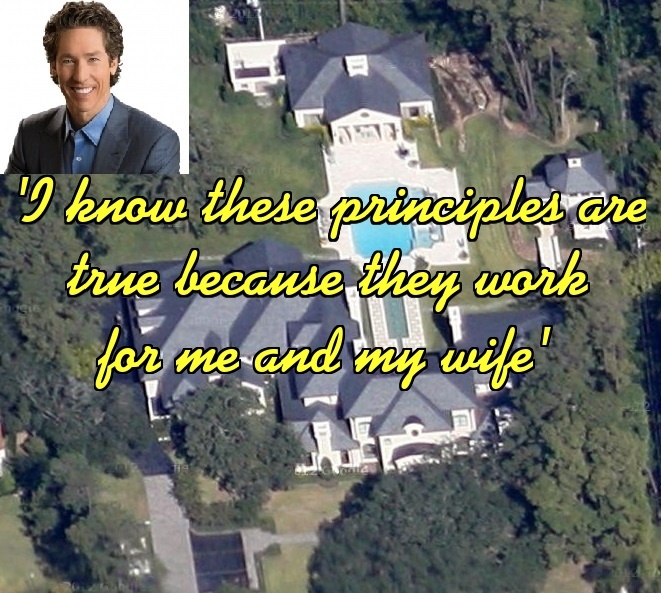 They are labeling prosperity gospel preachers like Paula White “evangelicals.” And most of them do claim to be evangelical in some sense. As often in these blog posts, I will include a personal sidebar here. As my faithful readers know, I grew up Pentecostal—within what scholars call “classical Pentecostalism.” We strongly opposed fringe movements such as the Latter Rain Movement that included belief in “manifest sons of God” (modern day apostles capable of living independently of natural laws). When the prosperity gospel first burst on the scene in the 1970s through books such as How to Live Like a King’s Kid by Harold Hill (1974) we “classical Pentecostals” by-and-large rejected it. That led to numerous Pentecostal and charismatic churches dividing. Suddenly, in a matter of a decade, most cities had at least one “Word-Faith church” dedicated to the gospel of health and wealth through positive thinking and speaking. Most of them looked to Hagin and his enormous ministry in Tulsa. Hagin himself was already well-known to most classical Pentecostal pastors in the U.S. He had been an Assemblies of God minister with a radio program. I used to listen to it (around 1970-1971) on Christian radio station KDMI in Des Moines—when I was just entering Bible college. I remember wondering why God would speak directly to a contemporary American evangelist in King James English. The Assemblies of God and other classical Pentecostal groups distanced themselves from Hagin and other Word-Faith evangelists and “teachers,” but their influenced grew nevertheless and many classical Pentecostal churches were eventually infiltrated with Word-Faith, prosperity gospel teachings. 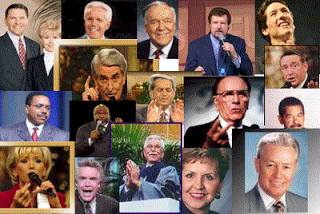 I lived through the rise of the Word-Faith prosperity gospel among Pentecostals in the 1970s and 1980s. I observed churches being torn apart by it. For the most part classical Pentecostal leaders distanced themselves from it and many even condemned it as heresy. But many accommodated to it—to hold onto many of their members rather than lose them to the new upstart Word-Faith “ministries” being founded mostly by graduates of Rhema Bible Institute. After leaving Pentecostalism and becoming Baptist, I thought I had left that particular controversy behind. However, my first full-time teaching position was at Oral Roberts University where I tried my best to counter the pervasive influence of the Word-Faith prosperity gospel teaching among students, many of whom were transfers to ORU from Rhema. Many Word-Faith evangelists spoke in ORU’s required chapel services. Oral Roberts himself seemed to be adopting elements of Word-Faith teaching. The university faculty, however, by-and-large opposed it which created tension on campus. One of my theology colleagues, Charles Farah, wrote one of the best books critical of Word-Faith prosperity teaching—From the Pinnacle of the Temple—in which he helpfully distinguished between faith and presumption. At that time many, very many, followers of the Word-Faith teaching were refusing medical treatment and discarding their much-needed glasses—as expressions of their “absolute faith” in God’s healing power. Many were racking up huge credit card debt and buying houses beyond what they could really afford—as evidences of their total trust in the power of God to provide wealth. I thought this Word-Faith teaching, rooted as it is in New Thought and as strange and fanatical as it is, would never be taught at a “mainline” Protestant seminary. But a couple of years ago I was surprised, even shocked, when I sat in on a church history class at a so-called mainline Protestant seminary and heard a Hispanic professor, herself of Pentecostal extraction, extol the Word-Faith prosperity gospel as something very positive and good—especially for oppressed Hispanics and African-Americans. She asked the class of seminarians “What other theology can give them hope for a better life?” I quickly jotted down on a piece of paper “liberation theology?” and showed it to the student sitting next to me. He raised his hand and the professor called on him. He said “liberation theology?” She simply dismissed it as irrelevant without even attempting to discuss the pros or cons of liberation theology. 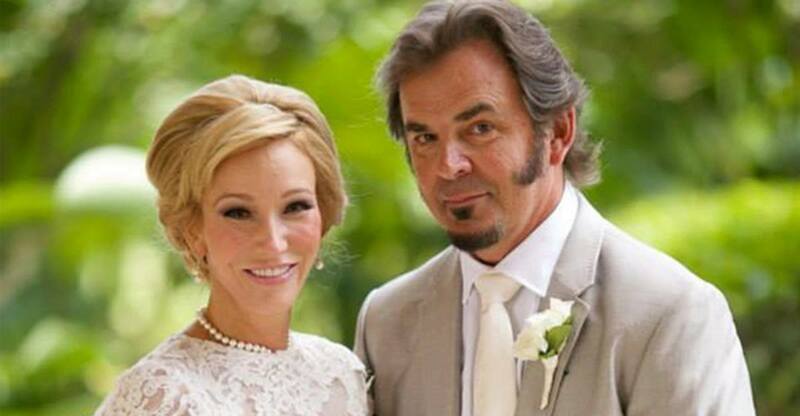 Now, according to news reports I have read, a leading Word-Faith, prosperity gospel pastor-evangelist named Paula White (pastor of a mega-church with about twenty thousand attenders and host of a religious television talk show) is being labeled “evangelical” by the media and being connected by them with Donald Trump—as his religious “point person” to connect him with “evangelical” Christians. This raises so many questions I don’t even know where to begin. Strangely, however, I think I do see a connection—between the prosperity gospel of health and wealth (as God’s blessings) and religious support for Trump. As an evangelical theologian and church historian, however, my main interest lies in exposing the Word-Faith “gospel” of prosperity as non-evangelical and even non-Christian—at least insofar as it focuses with heavy emphasis on manipulating God to give one financial wealth, material abundance, and guaranteed health. This is a theology that blatantly denies God’s sovereignty, God’s freedom, God’s holy otherness, turning God into a cosmic slot machine. And it distorts prayer into magic. The whole focus of the Bible shifts and becomes human centered rather than God centered. And it is rooted in extra-biblical “revelations” themselves rooted in New Thought—a philosophy that teaches that the power of God to create reality lies dormant within the human mind and mouth. I anticipate some objections. Some may recall that I have argued that evangelicalism is not a “bounded set category” but a “centered set category.” But I have also always offered the caveat that being “evangelical” is not compatible with anything and everything. There is a center and that center can be corrupted to the point where people claiming to be evangelical cannot be recognized as evangelical. The prosperity gospel of health and wealth is such a mutation of classical evangelical Christianity that it is unrecognizable as that; it is “different gospel,” one that holds out false hope to desperate people about a god who can be manipulated to, about “prayer” as magic, and about guaranteed health and wealth through pretending it exists when it doesn’t. I substitutes faith with presumption and places material “abundance” at the center in place of God who calls us to service rather than greed. I am not saying followers of the Word Faith “gospel” are not Christians, but I do wonder about some of their leaders and their true motives. 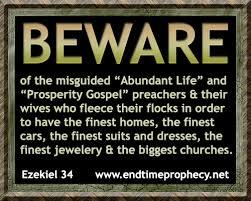 It’s the promoters of this false gospel I aim criticism at, not the masses of deluded followers many of whom are simply desperate people being seduced into false hope and counterfeit Christianity.